If you have any questions or want to enquire about dates, use our form to contact Pedro & David Palacios or see their website for more information. Foodies: head here. The owners’ son, David, grows his own organic vegetables and edible flowers to add to his wonderful creations, from prawn ‘bacalao’ to wild boar stew to raspberries with strawberry purée – and breakfasts fit for a king. So if you tire of your own cooking, or of the local venta, you have a rare treat in store. 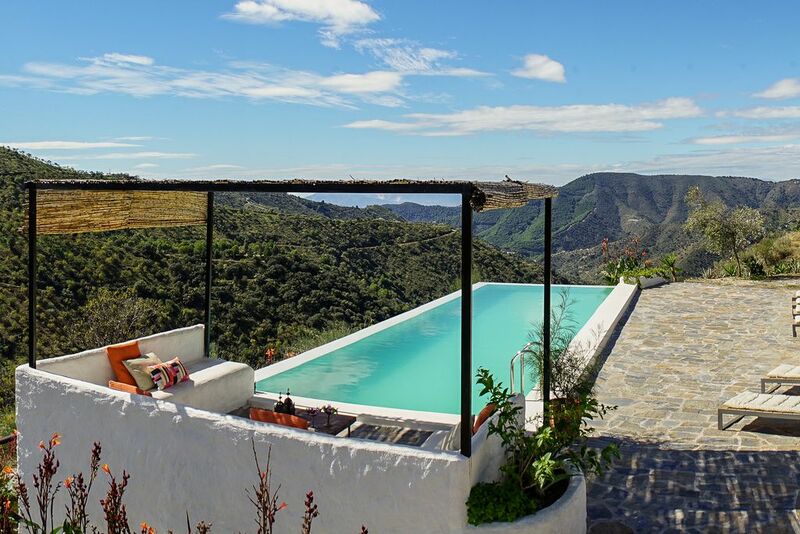 This is a 200-year-old cortijo in the Montes de Malaga, a work in progress for the Palacios family, compellingly peaceful, a challenge and a dream at the end of the long winding track. At the top is a big whitewashed house, with the family living on the ground floor, a new apartment above and the converted cortijo next door – each with its own private entrance and terraces – and a huge white courtyard behind. Inside: nice old furniture, wood venetian blinds and white mosquito nets, and luxurious organic bedding. 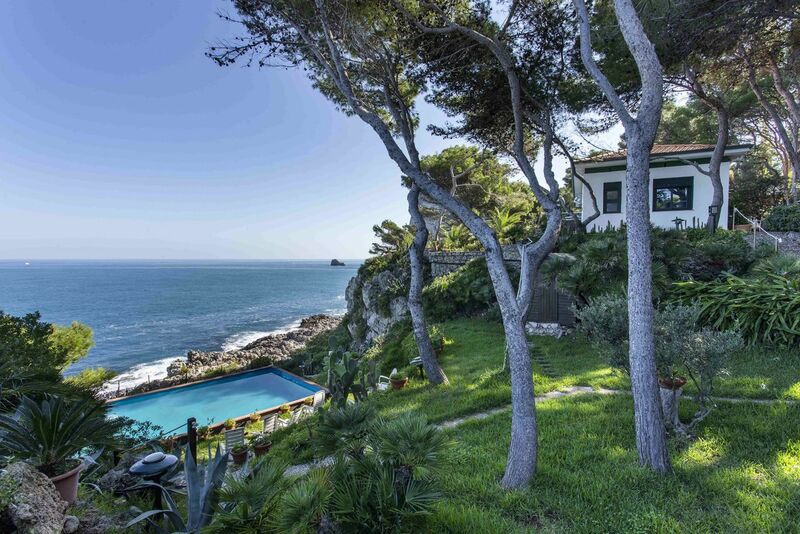 The fruit tree’d garden is another work in progress; there’s an infinity pool, and the plunge pool, a converted ‘alberca’, sits in the most inviting corner. You can see the sea on a clear day and the beaches of Malaga are a half-hour drive. Return to cicada song, night scents and delicious dining under the stars. €100 cleaning charge. Possibility to rent both properties for a maximum of 12 people. Rosa and David are passionate about their work, lovely people and brilliant hosts. Nothing was too much trouble, the food was exquisite and the Cortijo was very comfortable. The views were stunning, and the scent of eucalyptus on the air when you step out onto the terrace in the morning with the glorious view across the hills is something I will not forget in a hurry! Thank you both for such a wonderful stay. Montes de Malaga (4 km), Malaga (25 km), Nerja (55 km). Granada (115 km), Ronda (125 km), Cordoba (160 km/2 hours by car).